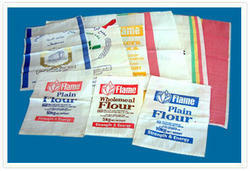 Prominent & Leading Exporter from Surat, we offer hdpe woven bags, pp laminated hdpe bags and hdpe bag. Justifying our standing in the market, we are occupied in presenting a world class consignment of HDPE Woven Bags. Manufactured with excellence, these are widely cherished owing to their beautiful designs. Also, we are shipping these at the destination of our customers within the stipulated frame of time that too in different packaging. Being a foremost organization in this region, we are offering for our clients a quantitative range of Polyester Laminated HDPE Bags. The offered bag is designed with the aid of basic materials by utilizing advanced tools and techniques under our experienced professional’s guidance. The provided bag is made available in different sizes as per client’s requirements. Immensely cherished for carrying food grains, sand or many other items, this bag is provided to our clients at cost effective prices. HDPE Bags are precisely manufactured by our trained professionals using finest quality materials and superior technology. This bag is available in different stipulations in order to cater the specific necessities of customers. 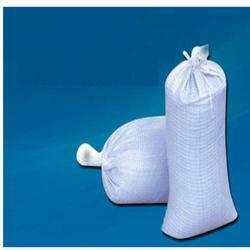 Our provided bags are delivered to the clients in huge quantity at nominal price. In order to maintain quality, our whole range is properly checked against varied parameters by our quality controllers.